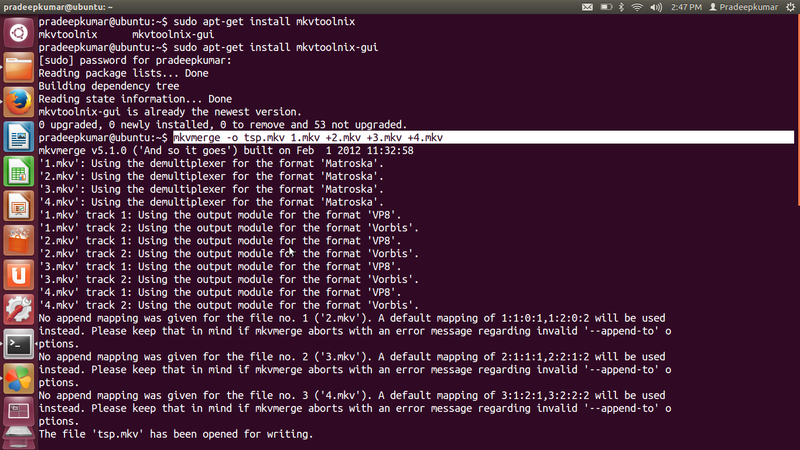 This post will tell you how to join mkv files through terminal mode in Ubuntu 12.04 Operating System. Matroska is a video file codec that is useful to store compressed high quality video into a small file. the extension of matroska is mkv and if there are multiple mkv files, how those files can be combined in to single file (in short we call it merging). Here is the method to do it. You can refer the following image for the same. For any queries, the readers can reach the author through the commenting section.